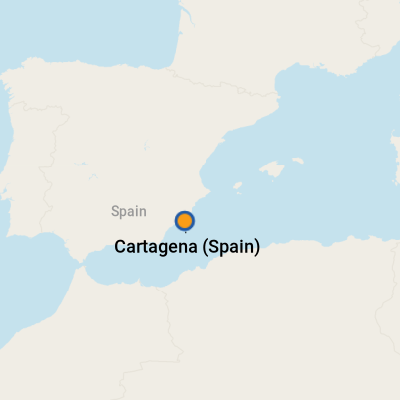 In the sun-dappled Murcia region of southeastern Spain, Cartagena -- a naturally deep and sheltered Mediterranean port surrounded by five hills -- has long been coveted as a trading center and seafarers’ game-changer. Dating to 227 B.C., when Carthaginians first set foot on its shore, this strategically located harbor has unfurled a culturally rich and historically tumultuous tapestry. Cartagena has been governed by Romans (Hannibal, with his army and elephants, stopped there on their military march across the Alps to Rome), ruled by Arabs and re-conquered in the 13th century by Ferdinand III for his Kingdom of Castile. Each new wave of distinct leadership carved indelible marks on this port's art, architecture, law, finances and industry. And yet this city of awesome ancient treasures is one of Spain's lesser-known tourist havens. Today, you will discover a pedestrian-friendly and pleasant metropolis of approximately 220,000 people that both exuberantly celebrates its past and exudes a forward-thinking spirit. Cartagena's wealth of archaeological sites draws you to explore its notable yesteryear -- many Phoenician, Roman, Byzantine and Moorish ruins remain, making it one of Spain's most fascinating age-old jewels. Its universities, filling restaurants, bars and parks with young people, are signs of a lively future. Cartagena has two cruise ship docks, with most vessels mooring at Pier Alfonso XII Cruise Terminal. A quick 1,000 feet or so from city center, the port makes an ideal entry point. The water is deep and can accommodate megaships. If your vessel docks on the south side of the harbor, Muelle de la Curra, you will ride a shuttle bus. Pier Alfonso XII Cruise Terminal is low-key, basically an easy-in-easy-out security checkpoint, designed to make transit as convenient as possible for ship passengers. The historic section of the city, brimming with amenities, is a five-minute stroll away. Next to the terminal is an attractive and welcoming waterside area, where the Real Club de Regatas de Cartagena (Yacht Club) features an open-to-the-public restaurant with a spectacular harbor view. There is also a stand for taxis, which are metered, if you are interested in exploring farther afield, though nearly all the Cartagena city sites are doable on foot. On your post-sightseeing return to the ship, you might be tempted to laze away any remaining minutes with a sherry or sangria in hand at one of several inviting portside restaurants with umbrella-topped outdoor tables, overlooking Cartagena Bay. 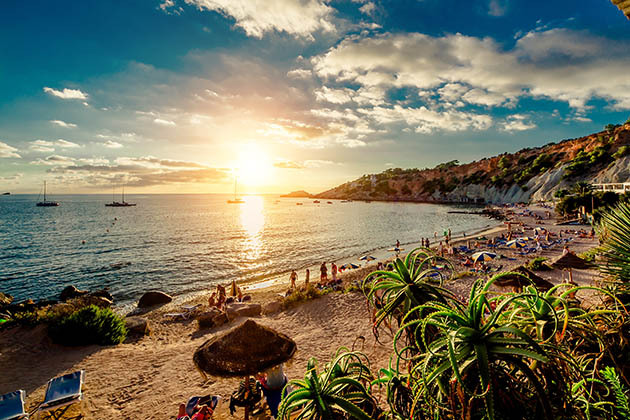 Keep an eye on your watch, but definitely give into the feel-good urge to soak up the last drop of relaxed Spanish ambiance. Cartagena is a safe, friendly, low-cost city. The caveat is in your pre-cruise preparation. In many travel forums, people often confuse it with Cartagena, Colombia, sharing incorrect info and debating where the cruise ship terminal is, for example. During our recent stay in Cartagena, several North American travelers told me that they had downloaded maps, read up about restaurants and historic sites, only to embarrassingly realize once they arrived in this Spanish port that they had had the two cities confused in their research. On Foot: Cartagena's easy accessibility from your ship is a time-saving bonus. As you walk off the gangplank, leaving the port security gate, head north alongside a picturesque marina, filled with vessels -- from rowboats to swanky multimillion-dollar yachts. The broad walkway is landscaped with dozens of majestic palm trees and colorful flowers. Take a left (it's obvious which way to go with the city within eyesight), turn right to cross a road and continue past a small leafy park, Plaza Heroes de Cavitte, which has an obelisk war memorial in its center. Going straight, you'll be on bustling pedestrian street, Plaza del Ayuntamiento, covered in gray-white-and-saffron-hued marble tiles. You will now be inside the compact historic area, delineated by Muralla del Mar, an 18th century seawall built by Carlos III. Next to Heroes park is Palacio Consistorial (City Hall), a gorgeous Art Nouveau towered structure dating from 1907, containing a tiny tourism office outpost that provides helpful info by a few English-speaking staff and a free detailed street map that illustrates sites and worthy buildings. From there, your many options are footsteps away and cinch to navigate. By Taxi: If this is your second trip to Cartagena, you might enjoy going to Cala Cortina, a sandy beach on the city's outskirts that is popular with residents; it features a casual fish restaurant, lifeguard and toilet facilities. Hire a taxi at Pier Alfonso XII Cruise Terminal's taxi stand; the driver will zip along the shoreline on Paseo del Muelle for the quick 1.8 mile trip. Spain uses the euro. For current currency conversion figures, visit www.oanda.com or www.xe.com. While credit cards, such as MasterCard and Visa, are accepted in some stores and restaurants (American Express far less so), it greatly helps if your cards are the embedded-chip-and-pin versions that work with the European point-of-sale systems. Some Cartagena stores and restaurants do not accept credit cards at all. To obtain euros, go to banks in the historic district, such as Deutsche Bank (7 Plaza de San Francisco), to use ATMs. Most people in this Spanish port who interact with tourists -- in their jobs at restaurants, bars, museums and other sightseeing venues -- speak basic English. Friendly and welcoming to visitors, they may also know French or Italian, so if you also understand a bit of one of those languages, there are no communication barriers. Fresh fish is a menu staple. Grilled monkfish and grouper are often dished up with Spanish-style rice and garlic mayonnaise. Many restaurants specialize in zesty seafood stews and paellas. Even empanadas can be filled with fish, such as tuna. Also, sample the fig bread, sometimes spread with soft cheese. Sip asiatico, a Cartagena-specific drink originating in the early 20th century, when Asian sailors visiting the port added condensed milk, brandy and cinnamon to coffee. Typically only served in this region of Spain, asiatico comes in a conical-shaped clear glass, into which ingredients are poured separately to create layers, with (usually) condensed milk on the bottom, then espresso, followed by brandy and a local liquor called Licor 43. It's topped with foamed milk and cinnamon, plus a lemon peel and two roasted coffee beans positioned to float. Stir for a memorable caffeine concoction. Ceramics and leather goods are popular buys in Cartagena, but look beyond stores stacked with mass-produced factory wares. Instead, hone in on artisanal boutiques and galleries with hand-made items that feel more authentic and personal. At Centro Regional de Artesania (10 Calle Honda) you'll ooh and aah over hand-crafted ceramics, one-of-a-kind leatherwork and glasswork, rugs, hand-sewn clothing and jewelry -- all created by local artists.